Touring is a very important part of the success of..
Touring is a very important part of the success of a band's career. Interactions with fans is vital. Of course, there's a lot of work involved in the actual tours. Traveling from city, very little sleep, meals at midnight (wherever you can find an open restaurant) setting up & taking down equipment can be exhausting. For our (FLEMT Italian rock band ) relaxation times, we had fun finding Hard Rock cafe's in every city. 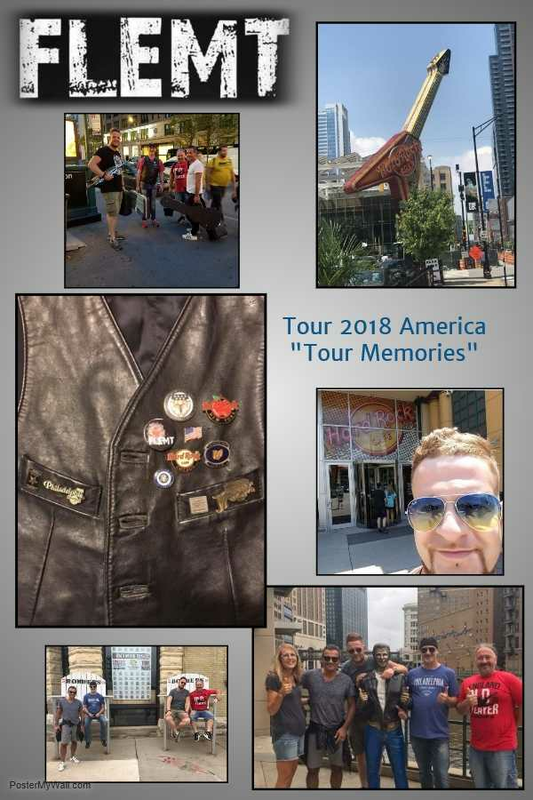 We had a blast shopping and as you can see one of our band member's collected pins for his leather performance vest. Have I mentioned lately that #ILoveMyJob? I really do.